Triad attorney Afi Johnson-Parris, the latest addition to Ward Black Law’s growing legal team, has been named one of the state’s 2013 “Legal Elite” in Family Law by Business North Carolina Magazine. Johnson-Parris has more than 10 years’ legal experience, and her experience includes the areas of veterans disability, divorce & separation, adoption, child custody and support, along with other areas of family and civil law. Attorneys recognized as Legal Elite are selected by their peers using a statewide ballot. Each year, Business North Carolina mails ballots to every member of the State Bar living in NC (more than 19,000 members), asking them a simple question: Of the Tar Heel lawyers whose work you have observed firsthand, whom would you rate among the current best in these categories? To learn more about the selection process, visit the BNC Legal Elite website: http://www.BusinessNC.com/LegalElite. Johnson-Parris is a 2002 graduate of the University of Virginia School of Law and a published member of its Law Review. Before law school, she served as an officer in the United States Air Force and earned an MBA in Technology Management from the University of Phoenix- Southern Colorado in 1998. After law school, Johnson-Parris practiced complex civil litigation in Atlanta with Kilpatrick Stockton LLP. She relocated to Greensboro in 2006 to practice employment and civil litigation with Smith Moore Leatherwood LLP. In 2008, Johnson-Parris started her own divorce and family law firm in Greensboro, NC to guide individuals and families through the highs and lows of family life, from prenuptial agreements and adoptions to divorce, alimony and custody actions. 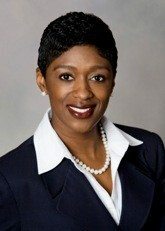 In addition to her recent recognition by Business North Carolina, Johnson-Parris was also named a 2012 “Rising Star” by Super Lawyers of North Carolina. Super Lawyers Rising Stars is a rating service of outstanding lawyers from many practice areas who are 40 or under and have attained a high degree of peer recognition and professional achievement. Johnson-Parris is an active member of the greater Greensboro community, currently serving on the board of the Carolina Field of Honor at Triad Park. She has also served on the boards of the YWCA of Greensboro, the Guilford Coalition on Adolescent Pregnancy Prevention, the Greensboro Bar Association and the Junior League of Greensboro. She is a 2010 graduate of Leadership Greensboro and served as a Program Chair for the 2011 class.